As one of the most influential movements of the past half century, minimalism has transformed the musical landscape in which we move. As a consequence of its simplicity of material and audibility of processes, minimalism has succeeded in bringing a wide audience to new music. It has challenged us all to listen afresh. When Carl Andre’s Equivalent VIII was acquired and first shown by the Tate Gallery in the mid-1970s, nobody much noticed. It was the last in a series of similar (‘equivalent’) minimalist sculptures made in the mid-1960s; it consisted of 120 firebricks arranged in a regular, rectangular pattern. But when an article in the Sunday Times in 1976 on the Tate’s recent purchases was accompanied by a picture of the piece, it drew attention to the fact that public money had been spent on a pile of old bricks, and so the piece quickly gained a notoriety that has never left it. You can still see it today at Tate Modern. It has come to stand, in the UK at least, as an exemplar of minimalist art. Andre was in fact just one of many experimental artists mainly based in New York in the 1960s who were stripping art back to its basics of abstract form and colour, and making a play of repeating patterns. It was also decidedly non-expressive and self-referential: as the minimalist painter Frank Stella famously wrote, ‘What you see is what you see’. Other key figures included the sculptor Donald Judd, and the painters Agnes Martin and Robert Morris. Its roots lie both in earlier experimental and avant-garde art, such as Dada, the Bauhaus and Constructivism, and also in contemporary conceptual art. At the same time on the American West Coast a different kind of art was emerging, also labelled minimalist, which was concerned with light and space. Robert Irwin filled rooms with fluorescent lights; Mary Corse embedded reflective beads into her White Light Series paintings. Many of these artists made installations through which spectators moved or in which they were immersed, in order to transform their perceptions. Minimalist music, which also emerged in the 1960s, took its name from this art movement. It shares many of its concerns. It is a truism that music is predicated on repetition. Some musical forms, such as passacaglia, canon, or theme and variations, make a structural feature of it. Much Baroque music of the late seventeenth and early eighteenth centuries would establish just one idea (or ‘Affekt’) through repetition – think, for example, of the slowly changing, repeated arpeggios of the introduction to Handel’s Zadok the Priest. In the nineteenth century, the prelude to Wagner’s Das Rheingold presented just a single chord across almost four minutes, shimmering like the waters of the mighty river Rhine, opening up a vast space to be explored across the four dramas of the Ring cycle. One ironic response to the scale of Wagner’s work came in the 1890s from the maverick Erik Satie in the shape of Vexations for piano, in which minimal musical material (a single, short page of eccentric music) is required to be repeated 840 times. 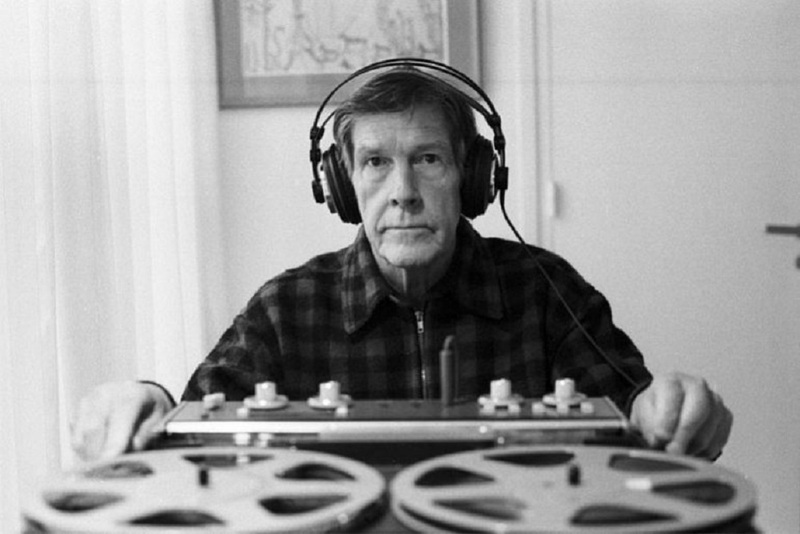 Though he may never have intended the piece actually to be played, it received its first full public performance in 1963 in an event organised by John Cage, which lasted 18 hours. This rediscovery of Satie was symptomatic of a renewed interest in musical repetition during the 1960s. Satie was co-opted by experimental figures who were exploring new kinds of composing and listening, and for whom repetition was the primary focus. Satie was a particularly important source of ideas for Cage, whose early pieces appear to anticipate minimalism in their working out of simple ideas to produce complex results. Cage’s circle included the artist Robert Rauschenberg: his series of White Paintings of 1951 consisted of panels painted completely white. 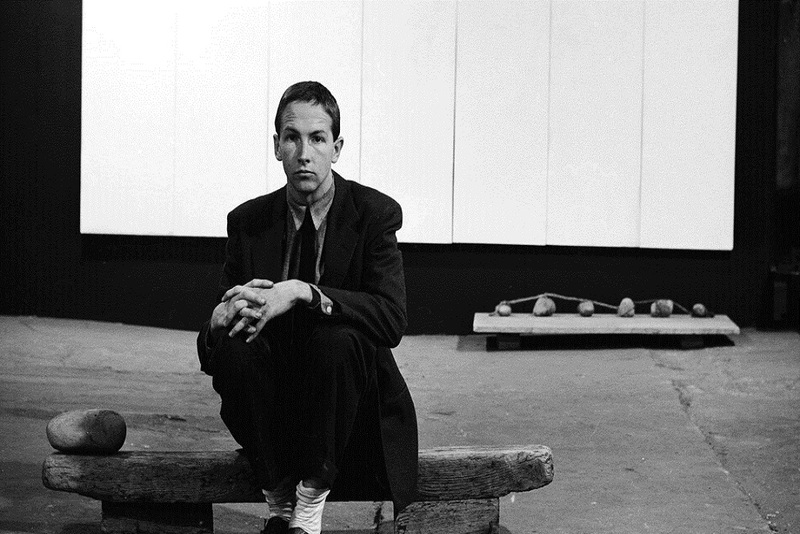 The following year, and in the spirit of Rauschenberg, Cage produced his 4’33”, the archetypical musical work of minimally prescribed content. Cage’s experiments and his conceptual approach were highly influential on the generation of composers who came to the fore in the 1960s, many of them now household names as minimalists. Cage’s attention to ‘sounds themselves’ offered an alternative to the highly structured serial thinking that had dominated the avant-garde in America and Europe since the early 1950s. It is important to remember that while minimalism is now part of a commercial mainstream, its origins were very much in American experimental counterculture. For a while it remained separate from the conventional institutions of music-making such as orchestras, concert halls and opera houses. Beatniks and hippies, Woodstock, the Summer of Love, the drug culture, anti-Vietnam protests: these were its contexts. Minimalism drew more from non-Western musical and philosophical cultures, and from popular music, than it did necessarily from art-music traditions. 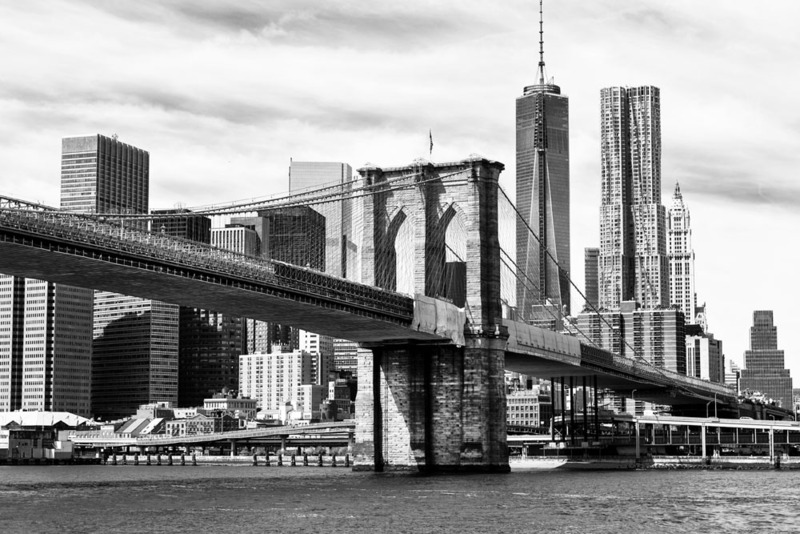 ‘New York looked much the same [in 1967] as when I had left it in 1964, but my generation, now in its late twenties and early thirties, felt an energy that seemed to pervade the entire city.’ (Philip Glass, Words Without Music, 2015) Experimental theatre and dance groups, film makers and creators of so-called ‘happenings’ gravitated to New York’s East Side and SoHo. Reich and Glass set up their own ensembles there that looked more like jazz combos than classical groups. They would give concerts in lofts and art galleries. They supported themselves by working as a social worker (Reich) and a taxi driver (Glass). The West Coast had its own, distinctive aesthetic, looking east to Asia rather than west to Europe. This was the California of earlier twentieth-century experimental composers such as Henry Cowell and Harry Partch, as well as Cage. Drug use was a common feature of the counterculture, and it was realised that music, too, could have transformative effects on perception. 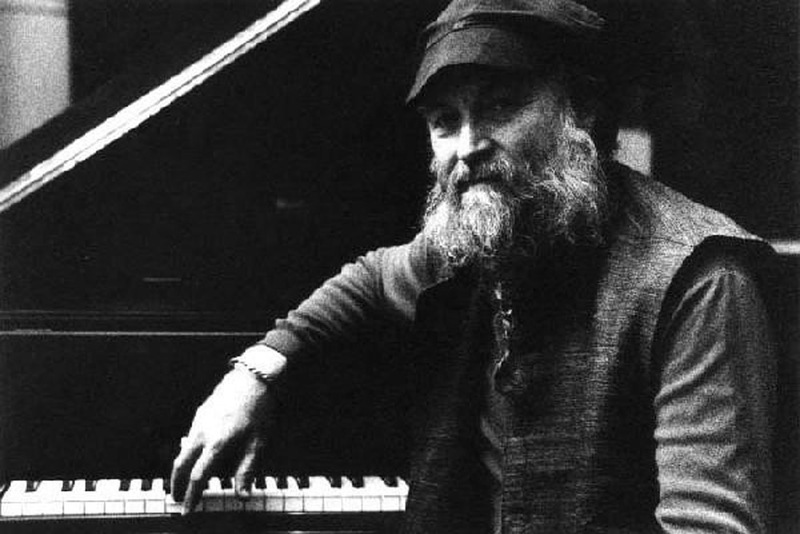 ‘I was very concerned with psychedelia and the psychedelic movement of the sixties as an opening toward consciousness’, said Terry Riley. ‘Music was also able to transport us suddenly out of one reality into another.’ (William Duckworth, Talking Music, 1995). 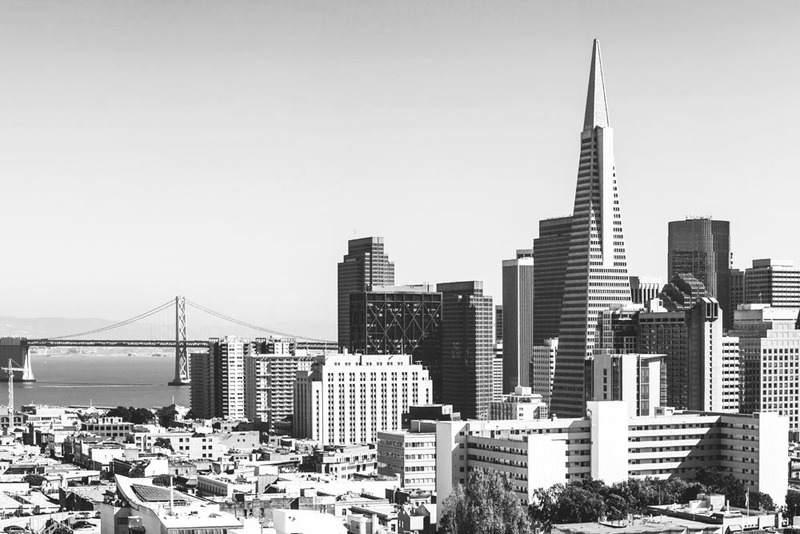 Riley, Pauline Oliveros and La Monte Young, all key figures in the emergence of minimalism, were students together in San Francisco at this time. Speaking very generally, the musical outcomes of these two places were also distinct. The California minimalists often produced drone-based, improvisational music leading ultimately towards Young’s Dream Houses and Oliveros’s Deep Listening. Riley’s In C is in essence about community. 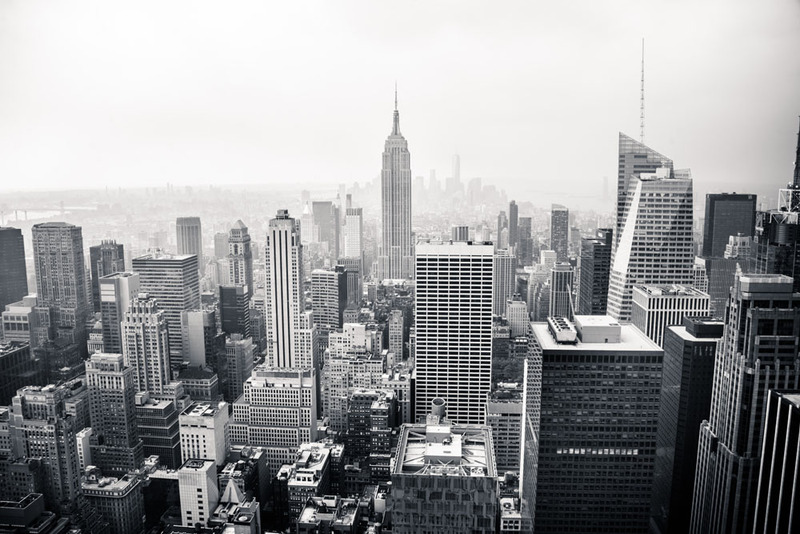 The New York minimalists were more concerned with pulse and process, resulting in such landmark works as Reich’s Music for Eighteen Musicians and Glass’s Einstein on the Beach. ‘It’s gonna rain.’ This phrase, taken from the words of a street preacher recorded by Reich in San Francisco’s Union Square in November 1964, forms the basis for his first minimalist work. It marks a momentous turning-point for him. It was his accidental discovery of phasing as a compositional technique. He ran two identical tape loops of this spoken phrase on two machines that slowly shifted out of phase with each other, so generating a more complex structure. The use of phasing was not, in itself, new. Riley’s In C, in whose premiere Reich had played earlier in 1964, also (in a different way) phases its musical units and was clearly an influence. But, as Keith Potter writes in Four Musical Minimalists (2000), ‘while Riley always allowed his patterns to accumulate into a psychedelic wash of sound, Reich generally stressed the audibility of his “gradually shifting phase relations”. Riley worked by intuition; Reich attempted to bring rigour to bear’. Come Out (1966) is made in a similar way, but now with a more explicit political message in support of young, black victims of police brutality. Such phasing then formed the basis of a series of compositions such as Piano Phase and Six Pianos, Drumming and Clapping Music, culminating in Music for Eighteen Musicians. Reich also wrote a number of pieces where a solo instrumentalist was phased with multiple tape versions of him/herself, as in Violin Phase and the Counterpoint series. Reich made another distinctive tape discovery in the 1980s. Different Trains for string quartet and tape has its roots in It’s Gonna Rain and Come Out in it use of short speech recordings, but now generating material for instruments – the pitch contours of the voices on tape become musical motives that are then subject to processes of repetition and gradual transformation. This work contrasts two very different kinds of train journey: that of Reich’s childhood travelling from Chicago to New York with that of European Jews being transported to Nazi death camps. 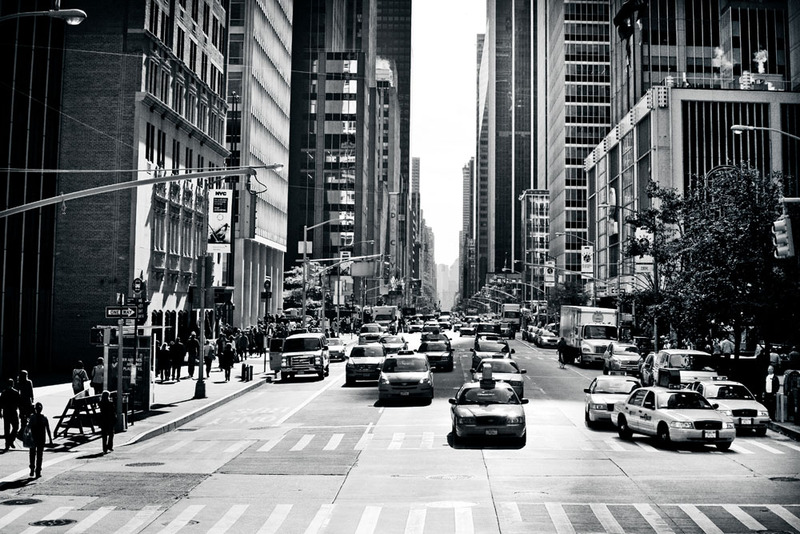 City Life similarly builds a picture of a bustling New York City from samples of street sounds that become the basis for instrumental material. 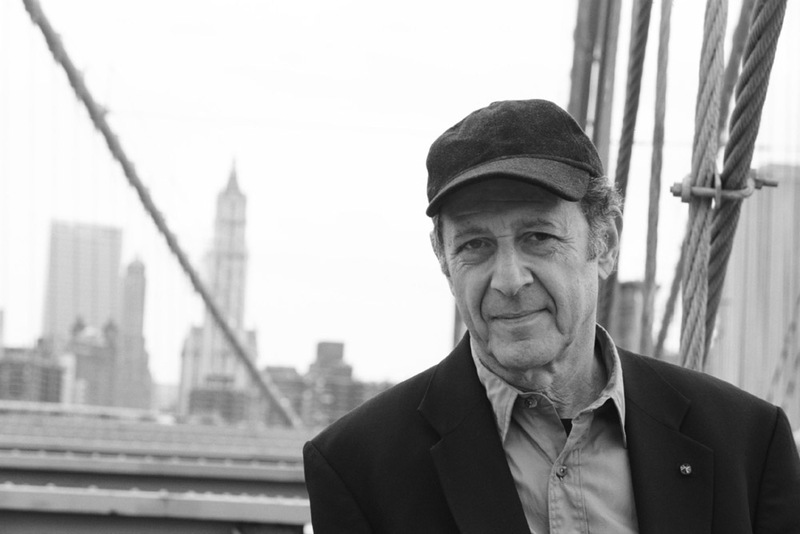 Steve Reich’s series of aphorisms, ‘Music as Gradual Process’, was first published in a New York art exhibition catalogue. It was written in 1968 in order, he said, to ‘clarify for myself what I was doing’. It has become a central aesthetic document of minimalism. It is a manifesto for listening as well as composing. It is also explicitly a manifesto against European serial music where, he writes, ‘the compositional processes and the sounding music have no audible connection’. I do not mean the process of composition but rather pieces of music that are, literally, processes. I am interested in perceptible processes. To facilitate closely detailed listening a musical process should happen extremely gradually. Even when... everyone hears what is gradually happening in a musical process, there are still enough mysteries to satisfy all. These mysteries are the personal, unintended, psychoacoustic by-products of the intended process. While performing and listening to gradual musical processes, one can participate in a particular liberating and impersonal kind of ritual. ‘If you look back, even pieces like “Music in Fifths” and “Music in Similar Motion”, which I wrote in 1968, are well articulated. They work through a process of additive and subtractive music laid out almost as clearly as in a textbook.’ (Glass, Words Without Music) To a simple quaver pattern in Music in Fifths (its title seems to allude to much earlier musical traditions) is gradually added a quaver, then another, then another, and so on, a model of additive construction. Music in Similar Motion (another title alluding to earlier musical practices), once it has reached its greatest length through addition, begins to shorten by means of subtraction. Glass isolates familiar building blocks from the history of music and subjects them to simple, audible processes, in order to create a music that demands a very different kind of listening. These processes became the basis for much of his subsequent music, even that on the largest scale. Glass himself divides his creative life into before and after Einstein on the Beach. This ‘opera’ was premiered in Avignon on 25 July 1976 and lasted five hours. Performers and audience were exhausted. ‘We knew we had done something extraordinary’, Glass later wrote. ‘And it wasn’t just us. Everybody knew it.’ Made with experimental director and playwright Robert Wilson, Einstein is a vast, non-narrative piece of theatre formed around the life and work of its eponymous scientist. From the most basic musical units – rhythms, melodies, triads, cadences – Glass builds a repeating structure that paces the drama across a wide time span. It represents a radical rethinking of how music, text and movement can work in an opera house. It was to form the first of a trilogy of ‘portrait operas’ of visionary figures: Einstein, Ghandi, Ahknaten. Glass continues to write (more conventional) operas to this day, on themes as diverse as J.M. Coetzee’s novel Waiting for the Barbarians and the later years of Walt Disney (The Perfect American). At the same time as he was working on the Ghandi opera (Satyagraha), Glass was composing the soundtrack for Godfrey Reggio’s film Koyaanisqatsi, a Hopi word meaning ‘life out of balance’. 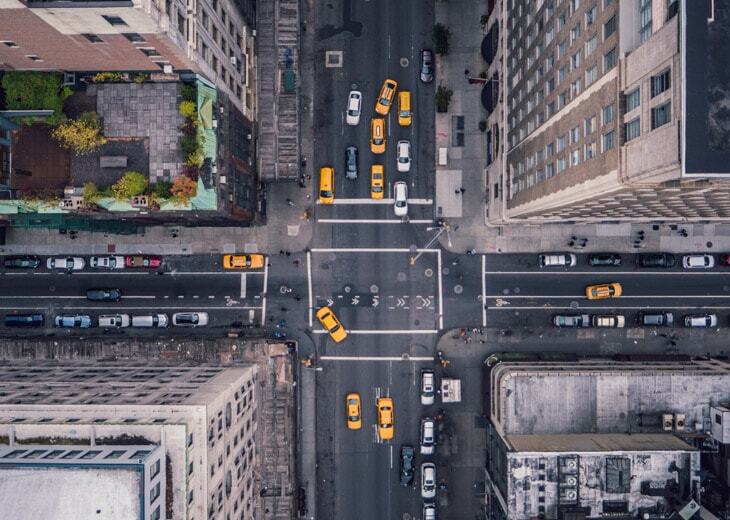 It presents a series of images, slowed down or speeded up, of, first, natural landscapes and, later, the urban environment. Glass’s music (very slow or very fast) matches the images beautifully: it is not an afterthought but is integral to the film. No text or commentary is necessary. It is one of his finest achievements. He has subsequently produced around thirty soundtracks for experimental film as well as commercial cinema, working with such figures as Woody Allen and Martin Scorsese. Perhaps the greatest compliment to Glass (much to his chagrin) is how many other composers have plundered his repeating musical style – Glass imitations can still be heard as the backdrop to countless films, TV shows and adverts. In more recent years Reich, too, has developed what he himself calls a new type of music theatre that combines speech samples, live music and video. The Cave (1989–93), made with video artist Beryl Korot, presents recorded responses to a series of questions about the life of Abraham from, in each act respectively, Israelis, Palestinians and Americans. It builds on the technique Reich established in Different Trains of deriving musical phrases from speech samples (here also shown on large video screens), which, through repetition, form the substance of the work. It also shows Reich moving away from his generally ‘abstract’ aesthetic of the 1960s and ’70s towards an engagement with religious, ethical and political issues. The video-opera Three Tales (1998–2002), made with Korot by similar means to The Cave, responds to the history of controversial technologies in representing the explosion of the Hindenburg, nuclear testing in the Bikini Atoll, and the cloning of Dolly the sheep. The defining features of the minimalist style of the 1960s and 1970s – among other things, harmonic and rhythmic simplicity, repetition, audible process, slow change – have spread far and wide. The minimalist legacy can now be heard everywhere, from high-energy, rock-influenced music to very slow, Eastern-influenced improvisations. It can be heard in music of the most extreme simplicity and in music of contemplative spirituality; it can be music of protest and music of humour; it can be heard in tiny miniatures and in music that takes many hours to unfold; it can be heard in concert hall and opera house, in church and on TV. As one of the most influential movements of the past half century, minimalism has transformed the musical landscape in which we move. As a consequence of its simplicity of material and audibility of processes, minimalism has succeeded in bringing a wide audience to new music. It has challenged us all to listen afresh.